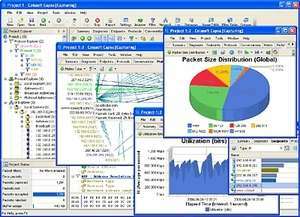 Packet Analyzer enterprise CAPSA edition is an advanced network monitoring, analysis and reporting tool for network security, performance and troubleshooting. It captures and analyzes traffic realtime, present comprehensive and graphic reports for technical and business purposes. All information is displayed in simple English with easy to use interface for anyone to master the tool with minutes of self training. For security reasons, you should also check out the Network Traffic Monitor Analysis Report download at LO4D.com which includes virus and malware tests. Additional screenshots of this application download may be available, too. 3 out of 5 based on 17 ratings.